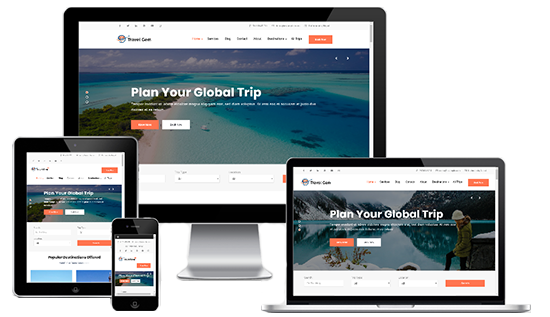 Travel Gem Pro is a trendy WordPress theme designed for travel and tours businesses. 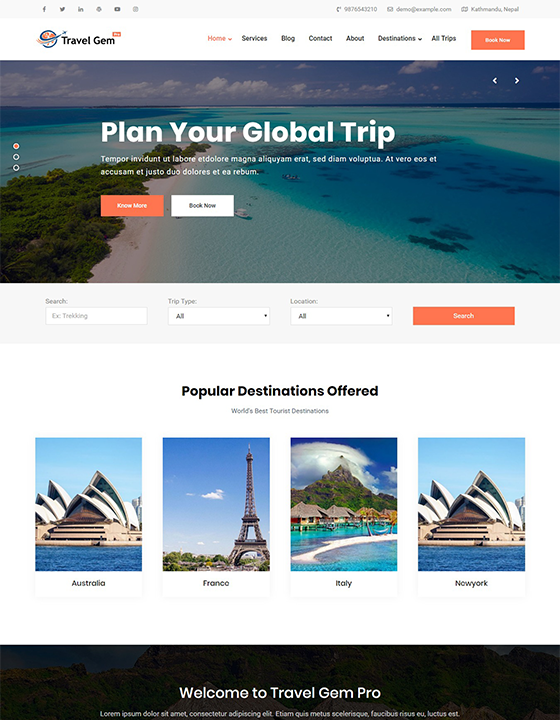 It smoothly integrates the travel plugin WP Travel so that you can display the travel packages in attractive way and allow users to book package easy. Thanks to the page builder integration, bringing changes to the layout is easy like drag and drop and code free. Theme is responsive and cross browser compatible which makes your site looks awesome in all devices of different sizes and also in several browsers. It is packed with useful features and user-friendly theme options. WEN Themes is dedicated to making the web convenient and elegant through offerings of simple and clean themes - we are committed to sensible WordPress Theme development . Our Plugins are add-ons that serve to aide WordPress-powered builds - we develop handy extensions .